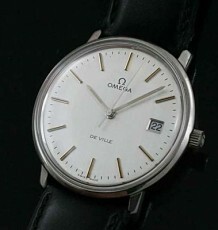 Vintage Omega Seamaster in classic beefy lugs steel case. These older steel cases have taken on iconic status with watch collectors as they sit somewhere between sports watch and a classic dress watch. 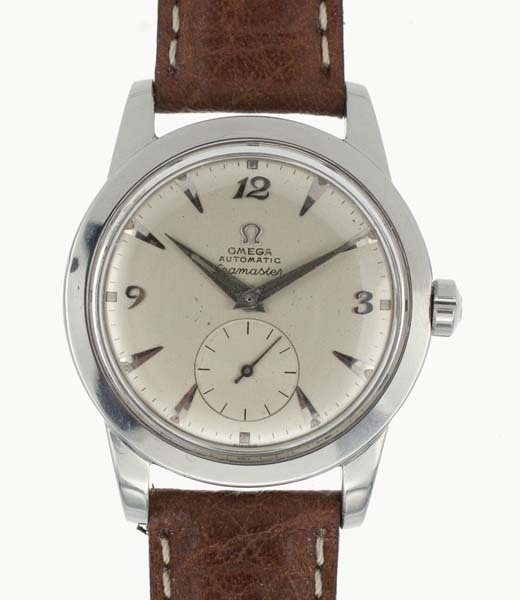 This vintage Omega Seamaster features an all original white dial which has aged to a wonderful cream colour with a few light patina spots. 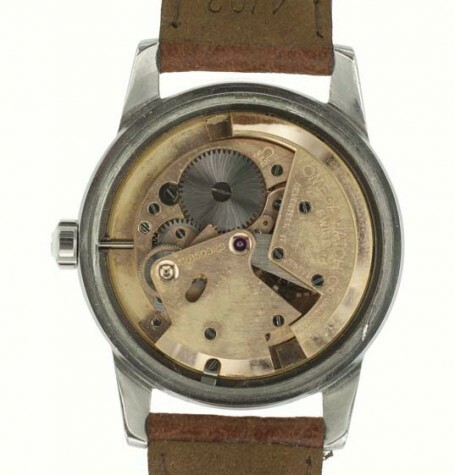 The dial also boasts steel applied Breguet numerals at the 12, 3 and 9 o’ clock positions. 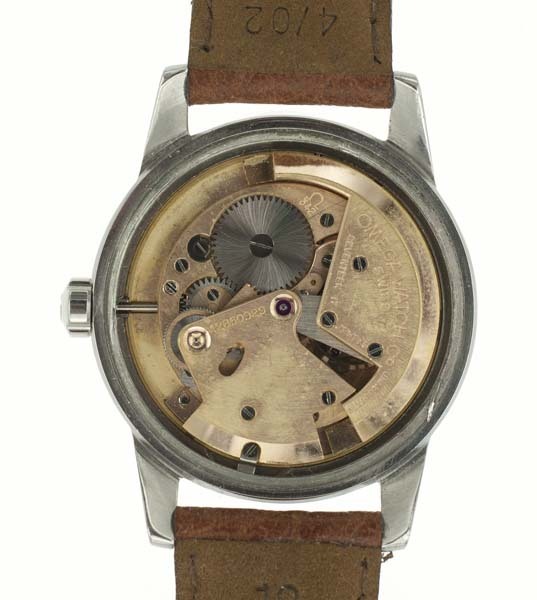 A large sub-seconds register sits in the lower portion of the dial occupies the spot where the 6 o’clock numeral marker would typically sit. 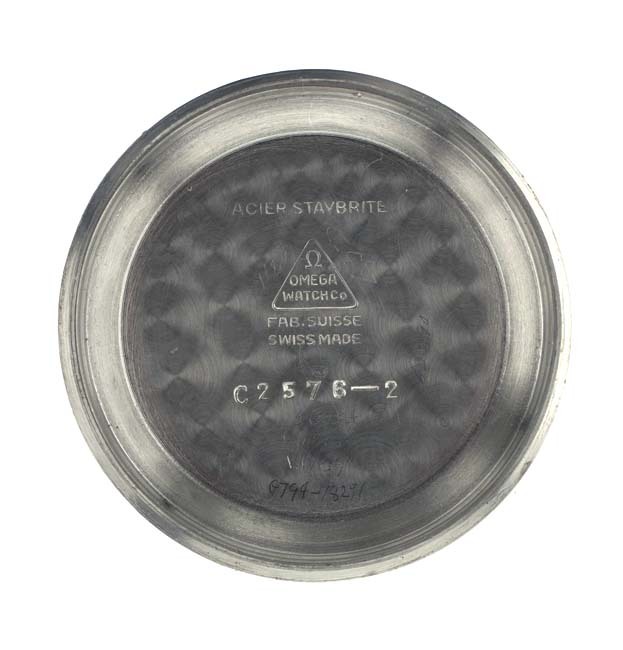 The remaining hour markers are polished steel applied arrowhead indices. 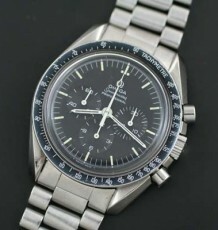 Overall it is one of the more attractive patterns Omega has produced. 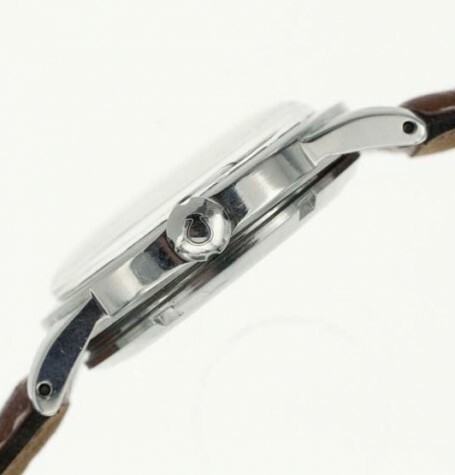 The watch is also fitted with the original dauphine shaped hour and minute hands. 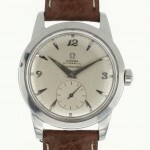 Also note the original clover shaped Omega signed winding crown. 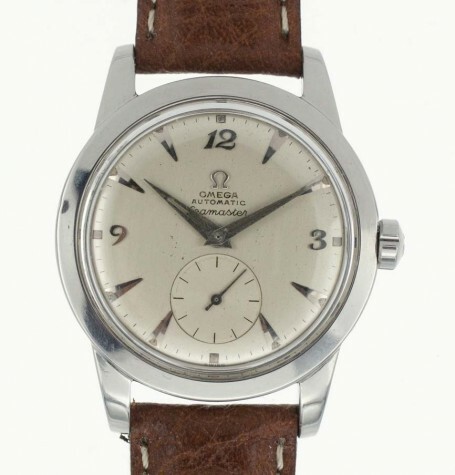 Powering this vintage Omega Seamaster is a freshly serviced Omega bumper automatic calibre 342 movement. 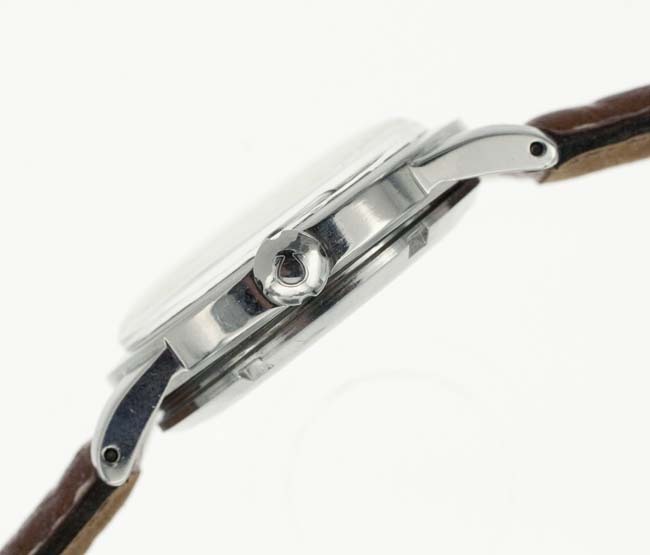 The 17 jewel movement is keeping excellent time and functions flawlessly. 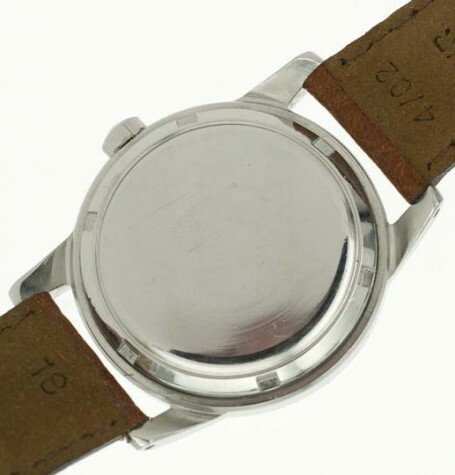 You will also see that the inside of the case back, this watch carries a case reference number 2576-2. 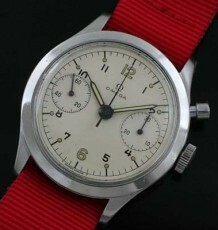 The serial number in the 12 million range roughly dates the watch to about 1951. The beefy case style and movement choice all point to this production date also. 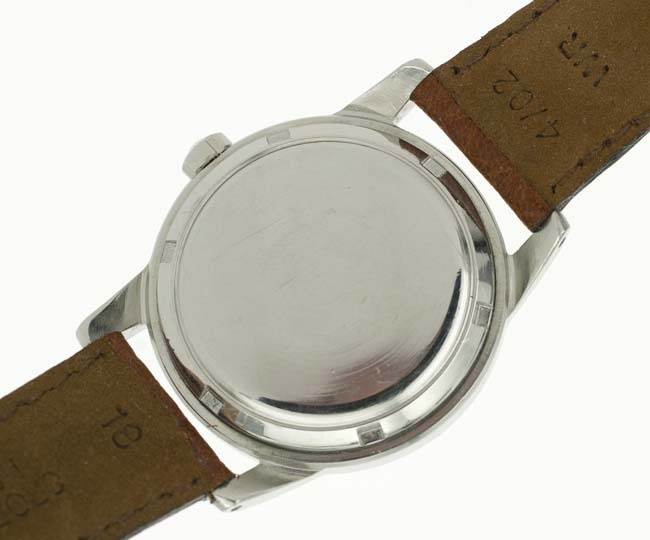 The watch measures 34.5 mm wide and is fitted with an 18 mm leather strap. Buyers choice of black or brown strap. 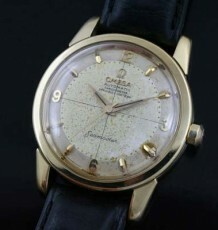 Here is a link to the Omega Museum with a story on this generation of vintage Omega Seamaster.